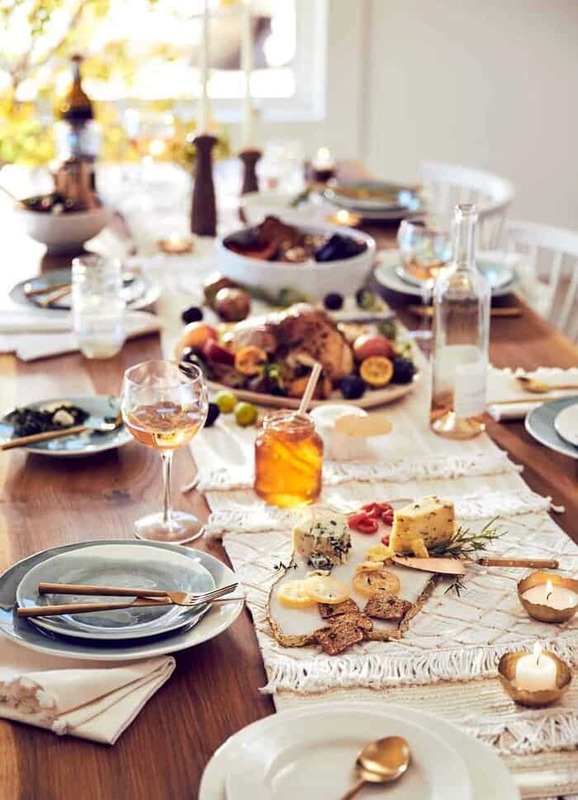 So excited to be sharing my Friendsgiving 2018 with Anthropologie! 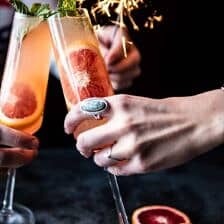 I’ve included tips on setting a beautiful table, simple and traditional recipes…but with a twist, and a couple of my latest favorite cocktails. Hands down this has to be one of my favorite posts that I will share this year. 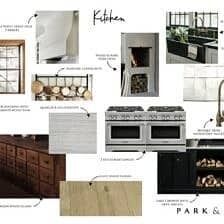 It consist of all the things I love so much, a beautiful table, delicious recipes, talk of the holidays. 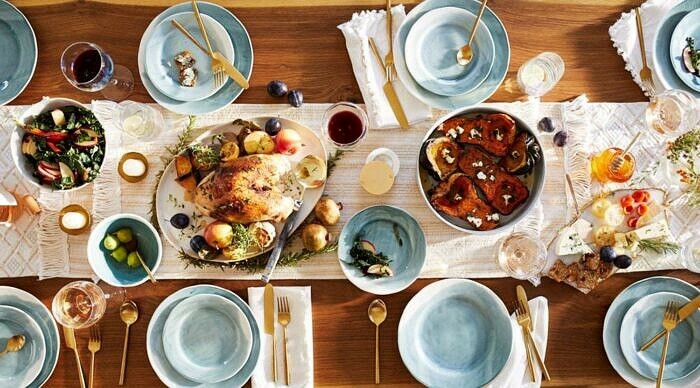 And thanks to beautiful lighting and festive dinnerware from Anthropologie…all the fall vibes! As you all know, this time of year is my favorite. 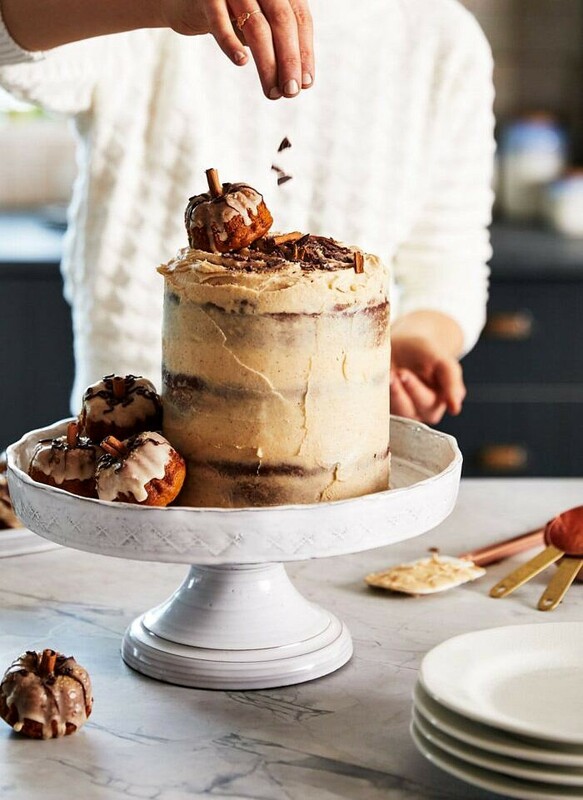 The holidays give me an excuse to create pretty tables, style out my house and studio in holiday décor, and develop new recipes that my family and friends can all come together and enjoy. Best time of the year! When I started brainstorming my menu for our Friendsgiving, I knew I wanted to create classic recipes, but with a fun twist. For me, the Thanksgiving meal is all about tradition. The turkey should be slow roasted. There most definitely needs to be mashed potatoes and rolls on the table. And of course, plenty of pie for dessert. 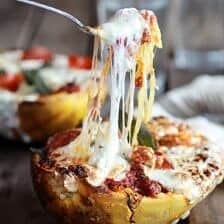 Friendsgiving however? Friendsgiving is a time to play with classic Thanksgiving recipes and give them a little refresh. Enter my 2018 Friendsgiving menu. To kick off any good party, especially a holiday party, you need a cocktail or two. It’s important when hosting that you think about what will be easy for you. 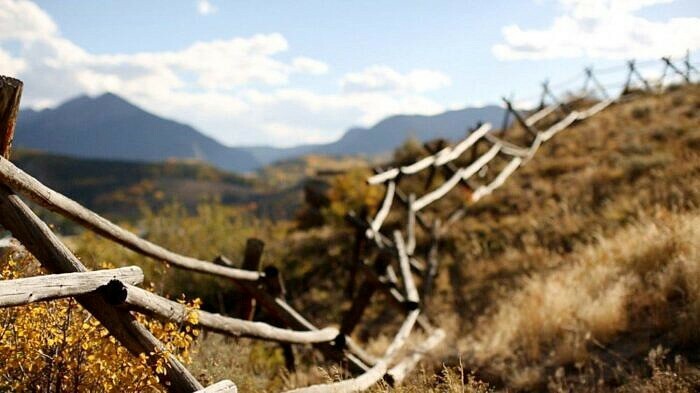 That way you can be relaxed as your guests arrive. I created a Thanksgiving Sangria and a Honeycrisp Apple Moscow Mule, both of which can be made in advance and served pitcher style. 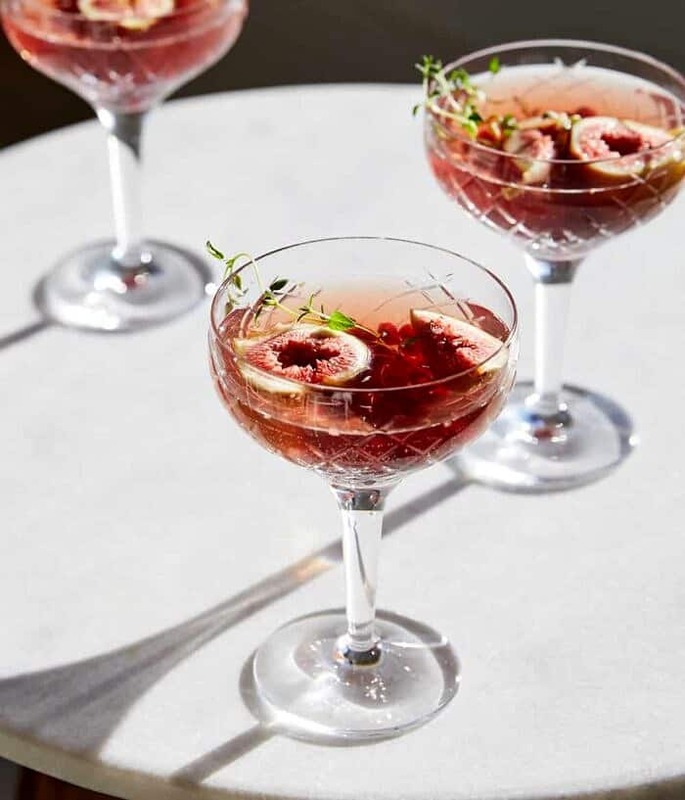 The Thanksgiving Sangria is a mix up of Rosè (everyone’s favorite wine), pomegranate juice, and in-season figs. 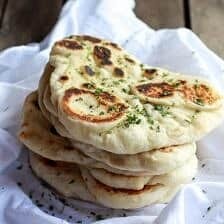 It’s very simple and very delicious. I love serving it in these gorgeous coupe glasses that allow the sangria’s pretty red color to really shine. Plus, these glasses are fancy, so they feel very fitting for a Friendsgiving dinner. For the Honeycrisp Apple Moscow Mule I used my go-to homemade apple butter, apple cider, some good vodka, and topped each mule off with ginger beer. It’s classic, but with an autumn twist. 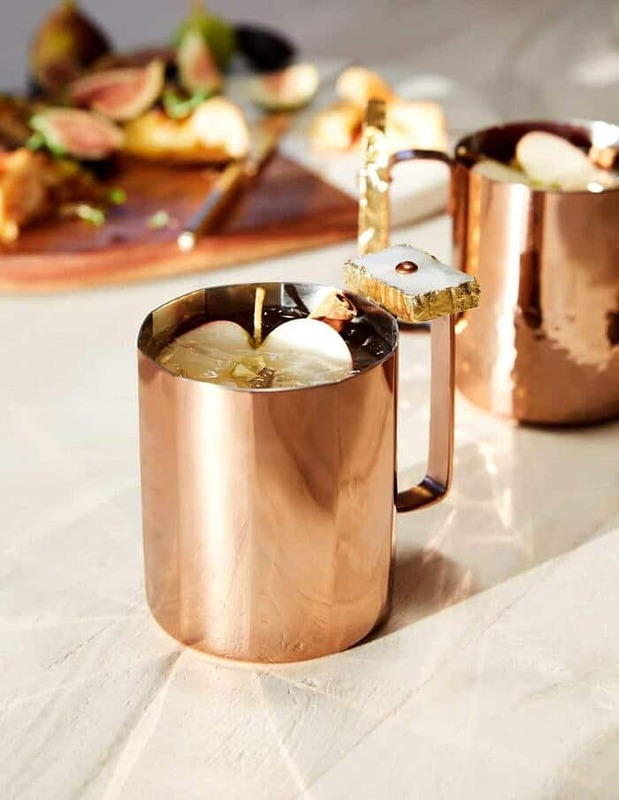 Serve these Moscow Mules in a festive mule mug for a show stopping drink. 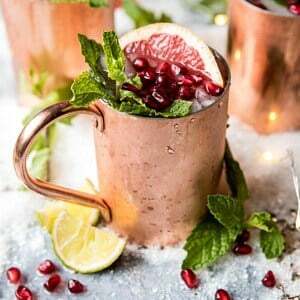 Tip: make both drinks ahead of time, but add the ginger beer to the mules just before you are ready to serve. Moving onto the appetizer. Brie is always an easy go-to option for me, and let’s be real, who does not love brie? I created the perfect 6-ingredient, prep in advance, recipe, with fig preserves, brie, fresh thyme, honey, and puff pastry. It’s a flaky, buttery, and delicious recipe that guests can snack on before dinner. 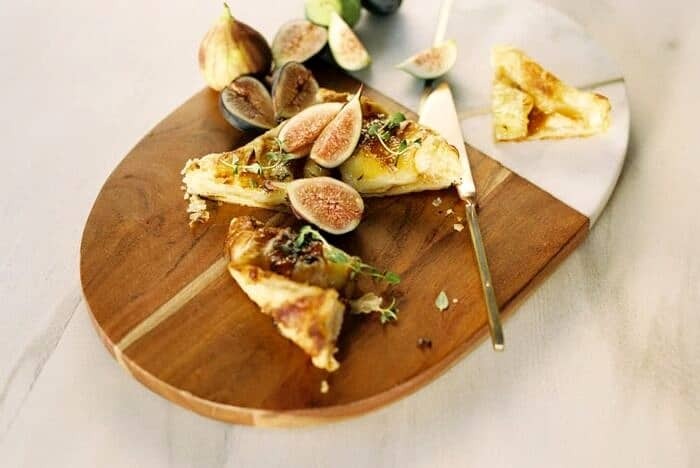 Serve this appetizer on a cheeseboard with gold accents to highlight the golden brie and pink figs. It’s so elegant. Tip: prep the brie in advance and then pop it in the oven just before guests arrive. Then simply plate and serve while it’s still warm. Best, easiest appetizer, that absolutely everyone loves. For our main course, I made a Harissa Spice Roasted Turkey Breast with Root Vegetables, Honeybutter Roasted Squash, and Harvest Apple and Kale Salad. I wanted to keep the meal simple, but so flavorful. Instead of roasting an entire turkey, I roasted up two turkey breasts, seasoned them with harissa spice, and roasted them along-side some of my favorite root vegetables. The turkey breasts cook up in a quarter of the time that a whole roasted turkey would. 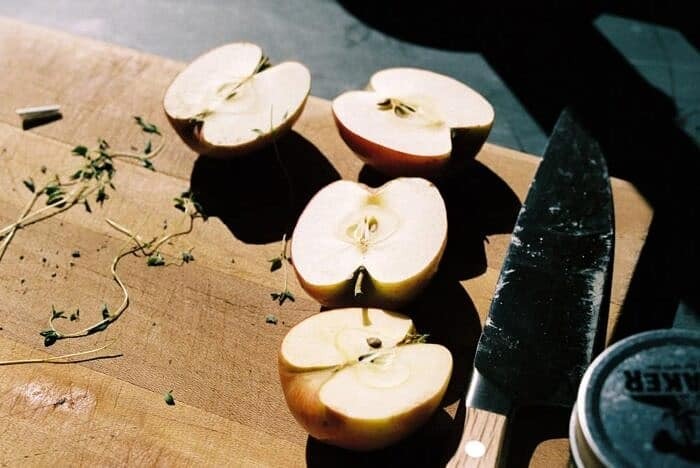 They’re juicy, moist, and great for serving a small crowd. Roasting the turkey alongside veggies creates a two in one main course and side dish. Since the turkey is the star of the night, serve it on a large patter that’s more simplistic. This is the exact platter I used, but I also love this platter, and this platter as well. The honeybutter roasted squash, is sweet, herby, and so colorful. I like serving this side on something white, as it allows the colors to pop. This dish is always my go-to. I use it pretty much every time I entertain. 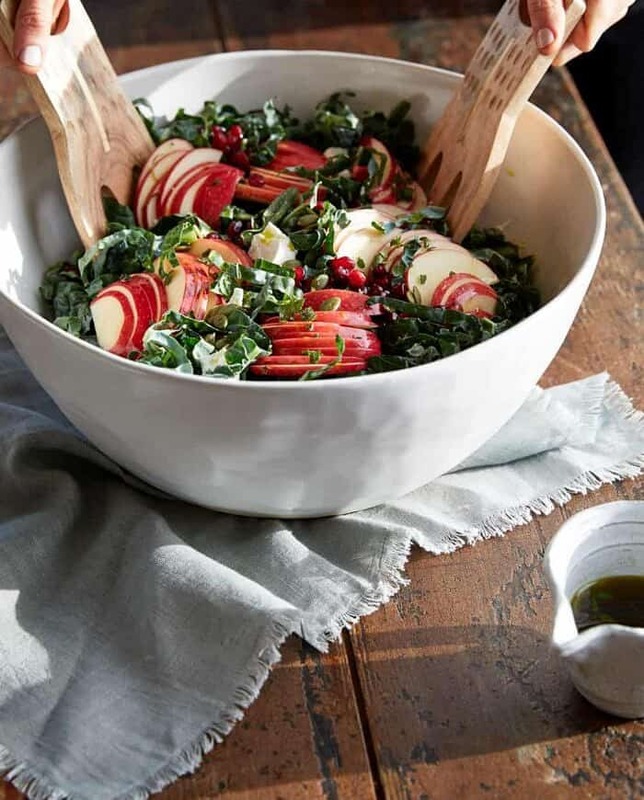 For the harvest apple and kale salad, I used this incredibly stunning wooden bowl which feels so rustic and fitting for an autumn harvest salad. Tip: because my salad was so big, I decided to keep it off the table. I had guests serve themselves to it before sitting down. Whenever I do this, I love keeping a smaller bowl of salad on the table so that my guests can easy help themselves to seconds if they’d like. For dessert, instead of doing pie, I was inspired to make my Chai Pumpkin Cake with Maple Browned Butter Frosting. 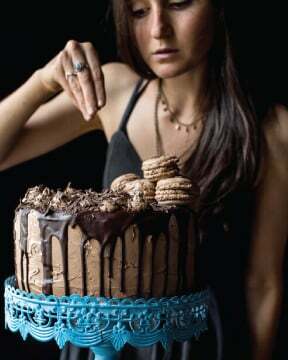 Oh this cake, it’s a show stopper. I don’t know, it might just be better than a classic pumpkin pie. It has three layers of chai tea infused pumpkin. And then there’s that frosting! Maple, browned butter, and vanilla…it’s truly what every holiday party should end with. It also doubles as décor when served on this off white cake stand. Once you have your menu set, it’s time to start thinking about your tablescape. This season, I really wanted to highlight the autumn blues, golds, and creams. These colors feel so warm and cozy. I used the Cabarita Collection and paired them with the Streamlined Flatware. The setting was simple, and just what I wanted. I loved when the light hit the wine glasses just right. It allowed the glasses to glisten on the table, creating a beautiful golden tone from end to end. To add to the warm tones throughout, I used a cream table runner with gold strips and pretty off white napkins that tied everything together. 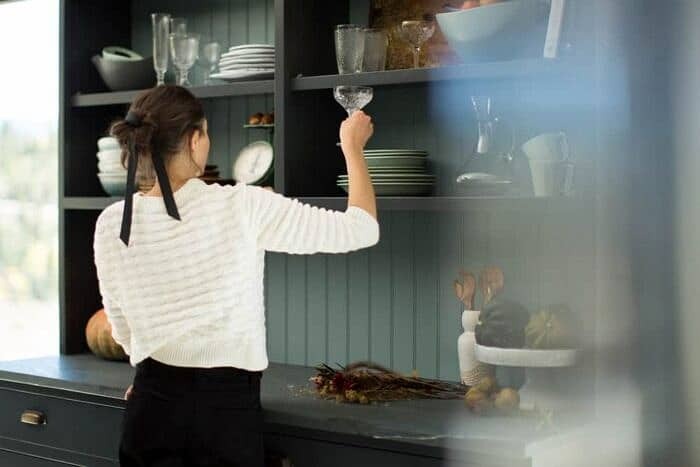 When setting your table, don’t stress too much about making it perfect. I love the imperfect, perfect look. My best, budget tip for creating an elegant tablescape is to incorporate the food onto the table. My favorite thing to do is to use fresh produce around my table to add pops of color. I love a bouquet of flowers, but food can be equally beautiful, if not prettier. 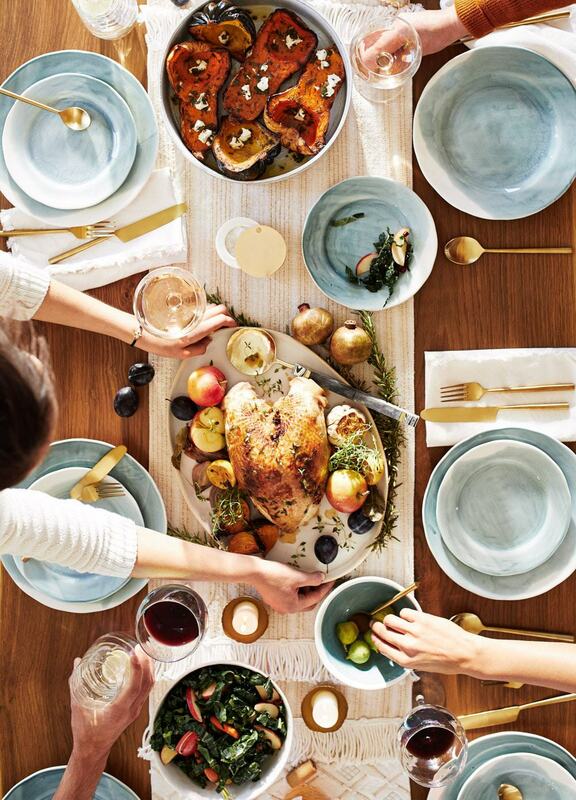 Surround the table with candles, use fresh herbs for greenery, and make the turkey the center piece of it all. Keep a light cheeseboard on the table for snacking, and of course, a bottle of wine to keep the night going. Make the table cozy and inviting, and trust me, everyone will have the best night. 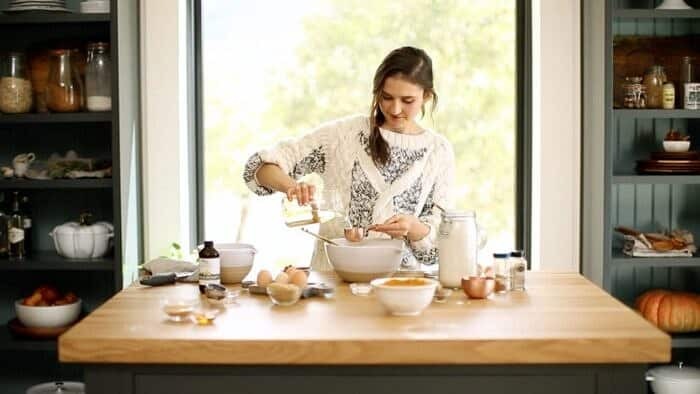 Stay tuned for the recipes, which will be shared over on the Anthropologie blog this week. 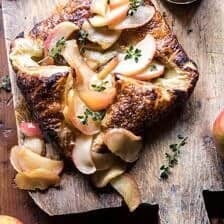 My 2017 Thanksgiving Menu and Guide. 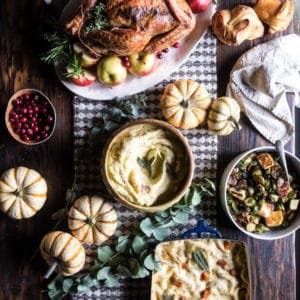 I love the idea of Friendsgiving and everything looks so beautiful on your table! I tell you what… that Sangria would be invited to my Friendsgiving. YES! I am so glad you like this Ben! Thank you! Are you going to post the recipe for the cake? 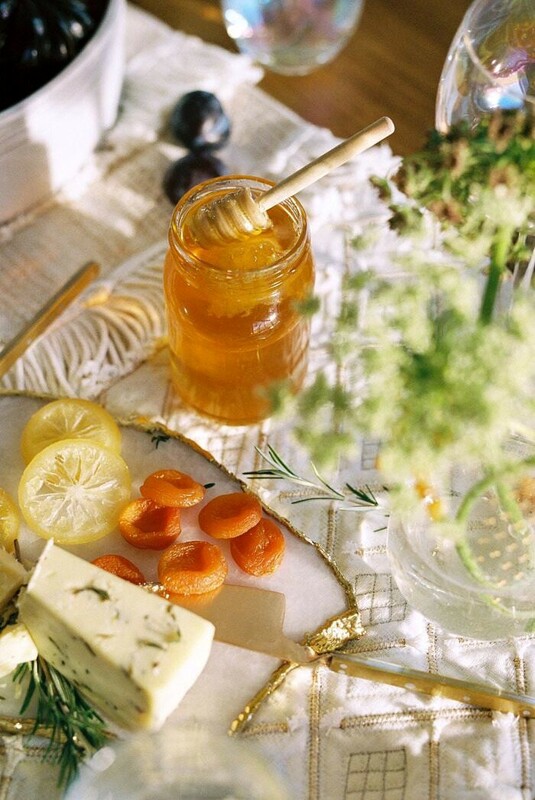 This is the most gorgeous Thanksgiving spread – so beautiful!! 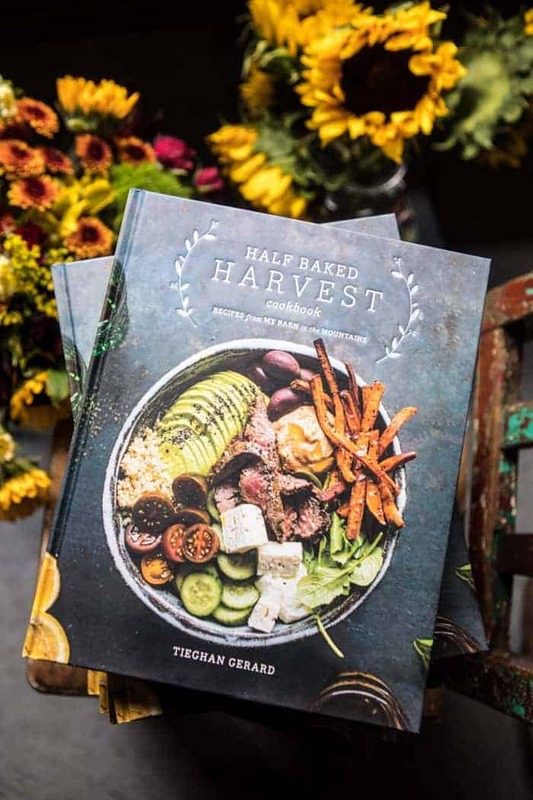 Will you be sending links via your email newsletter to the recipes that show up in the Anthropologie blog, Tieghan? When I clicked through to the blog, it only has the introductory posts. Many thanks, love this post, the menu, and the table settings. I’m in love with HBH and have a deep appreciation for the aesthetic. I’ve also been dying to see the recipe for the chai infused pumpkin cake and have been checking on the daily to see if I can find it. It’sy best friend’s bday today and I was hoping to make it. 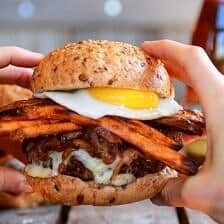 Any way I can get my hands on his amazing goodness?!? Oh my goodness Tieghan!!! I just did a test run of your Chai Pumpkin cake… ABSOLUTE. SHOW. STOPPER!! So, so good! 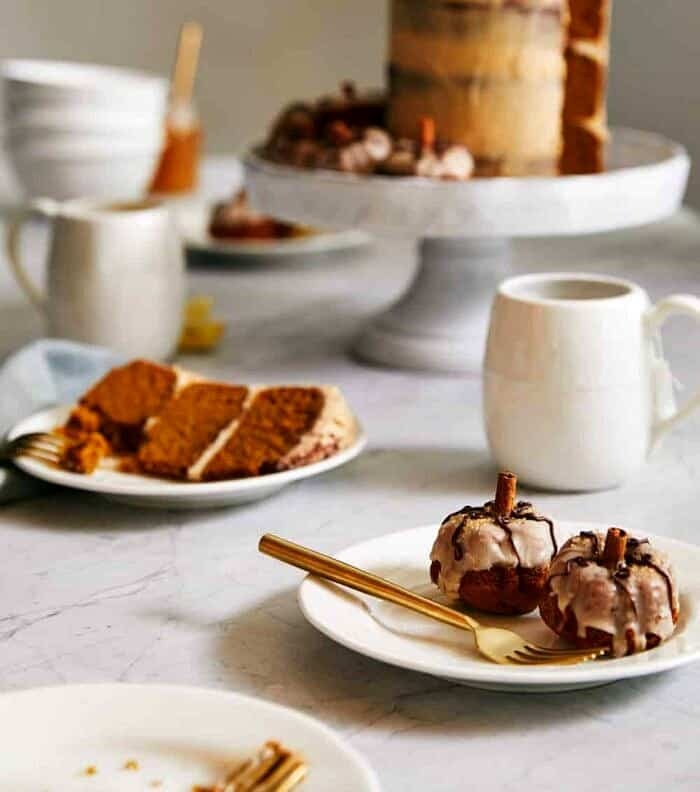 That frosting is to die for, and I am completely in love with the pumpkin-chai combo! I am so glad you loved this Kate!! Also, so sweet your little brother helped you out, I love that! Thank you so much and I hope everyone loves it at your Thanksgiving dinner! Hi, I am trying to find the recipe for the turkey. Has it been posted yet? In your recipe for the Harvest salad you call for 2 heads kale- can’t seem to find this in Norway.. What other kind and how much kale is this approximately? HI there! I can’t find the Thanksgiving Sangria recipe. Would you mind sending it to me? Thanks so much!